How to add multiple music files to the video and play them simultaneously? In the past, if you need to add multiple audio files, such as background music, sound effects and recorded audio to one video, and play all of them simultaneously. Either you have to pay for a large amount to purchase a professional video editing program and spend much time learning the user manual. 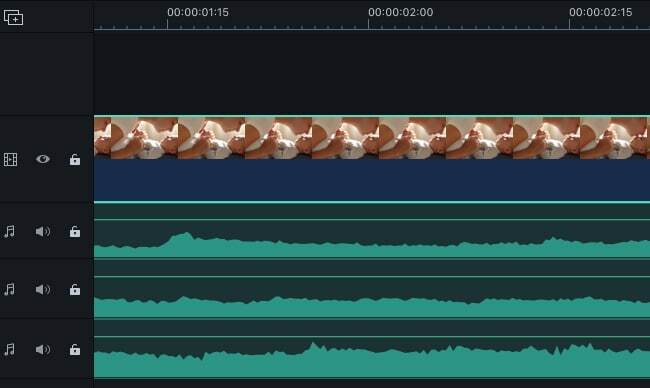 Or you can purchase an easy video editing program to add one audio file at a time, export the video, add the next piece of audio to the program repeatedly. In nowadays, you can purchase an easy and trendy program called Wondershare Filmora9 for Mac (Latest Filmora version 9 for Mac), which will save you much time on reading the user manual and meanwhile save you much money to buy a professional complicated program. It is a good way to kill two birds with one stone. You could follow below instructions to add multiple music files to the video and play them simultaneously. Please click Import to add all the video and audio files (background music, sound effects and recorded audio) you need. Then drag and drop the video to the video track. You can freely arrange clips in timeline untile you like the sequence. At the same time, drag and drop the music file, recorded audio and sound effect to timeline respectively. Lastly to make them synchronized with the video file. You could drag the edge of the audio files to change the duration directly. Or you could freely move either of the audio files to anywhere you need. Tips: If you need to record an audio, you could record an audio directly by this program. Then you do not need to do it by another program. The recorded audio will be located in the Media Library and the audio track meanwhile. 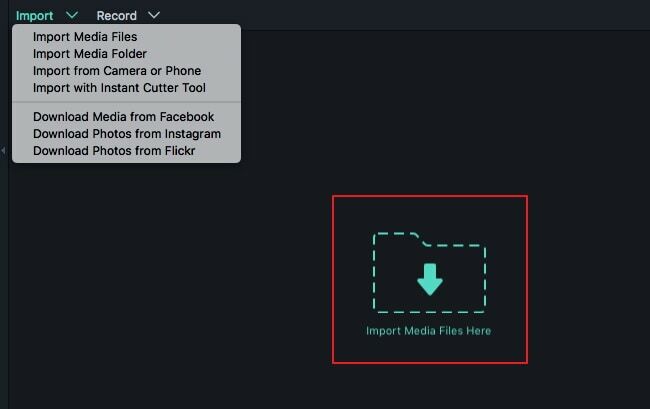 Wondershare Filmora9 for Mac (Latest Filmora version 9 for Mac) supports importing up to 100 tacks, which means you can import up to 100 video and audio files at the same time, so it can meet your needs easily. Just download it to have try! Please remove this article/page. This is no longer an option in your software. Don't see any track manager icon nor a tiny plus sign. I feel it is very limited because it only has 1 (ONE) track for video on its timeline. It has mulitple text and audio, but it is such a hassle trying to splice different parts of video. I have used Sony Vegas in the past and I liked how I could add multiple video tracks and it was a lot easier to fade and blend and manipulate. how many video track it has got? I've seen a you tube by a musician that showed him playing in four video's made into one... the main video was divided into four quarters and in one he sang and chorded, in another he did the lead picking, and so on. As the video played it synchronized all together so you could listen to his music while watching him do the different parts... this is what I want to do for my husband .... If I had two or four different video's of him would this software allow me to complete this task? I've made videos of my band's performance using 4 video cameras. I want to use the sound track from one camera, and splice in video scenes from the other cameras. How do I keep the spliced scenes in sync with the audio - Example, when I splice in camera two, the guitarist needs to playing his guitar in sync with the sound of his guitar playing. Is this the right software to do this? Hi I have had a problem when trying to add more than 2 songs in the background of my video is it possible to add more than 2 or am I missing something? When I click the "+" Add New TracK" I cant get anything to happen, all I want to do is add another bloody audio track. I think you can by dragging the text field in the time-line to whatever length you need. Plus if you double click on text field there is an advanced button. RL Kuhn Productions creates music for films. We can offer free music and educational discounts.